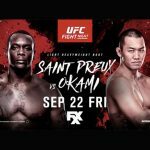 "UFC Fight Night 117: St. Preux vs. Okami" takes place Friday night inside Saitama Super Arena in Saitama, Japan. 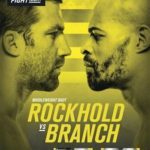 Who needs Canelo vs. GGG when you have Rockhold vs. Branch? Now that's a real middleweight fight! Daniel Cormier (pictured) is once again the UFC light heavyweight champion after it was revealed Tuesday that Jon Jones' B-sample also returned positive for the anabolic steroid Turinabol. On Wednesday, the California State Athletic Commission, the sanctioning body of UFC 214, overturned Jon Jones' victory over Daniel Cormier to a no contest. 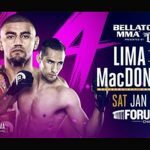 It's the Big Apple, so it's only fitting the UFC goes big in their return to the NYC.